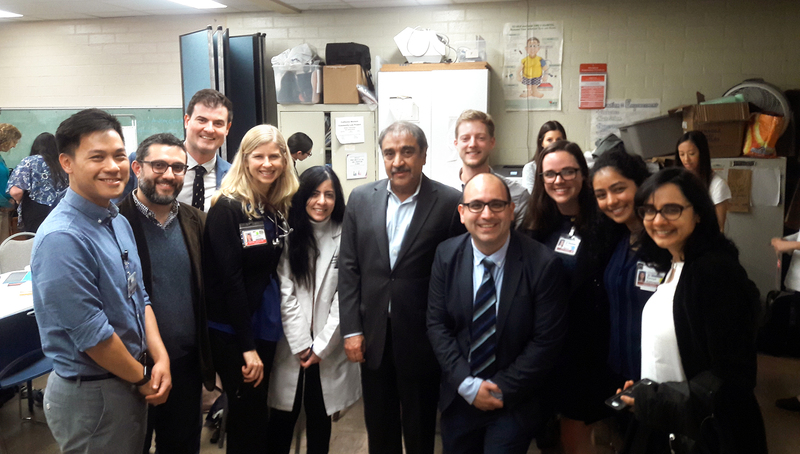 In February, Chancellor Pradeep K. Khosla visited the Student-Run Free Clinic Project, led by the UC San Diego School of Medicine. The Chancellor connected with faculty, volunteers and patients to learn how the clinic is making an impact on the community. The clinic provides high-quality, comprehensive, free healthcare to underserved San Diegans without insurance while inspiring the next generation of health care professionals. Established in 1997, the clinic has gained national recognition for providing more than $12 million of free services and 100,000 medical visits to over 10,000 patients. The project is run by over 250 medical students and 100 pharmacy students. Under supervision from faculty, students contribute to patient care, case management, administrative roles and more, providing over 79,000 hours of volunteer service each year. Consults are based on a philosophy of care that is humanistic and transdisciplinary — where the community is the teacher. Operating at four locations throughout San Diego, the clinic model has been adopted in more than 20 locations around the world.